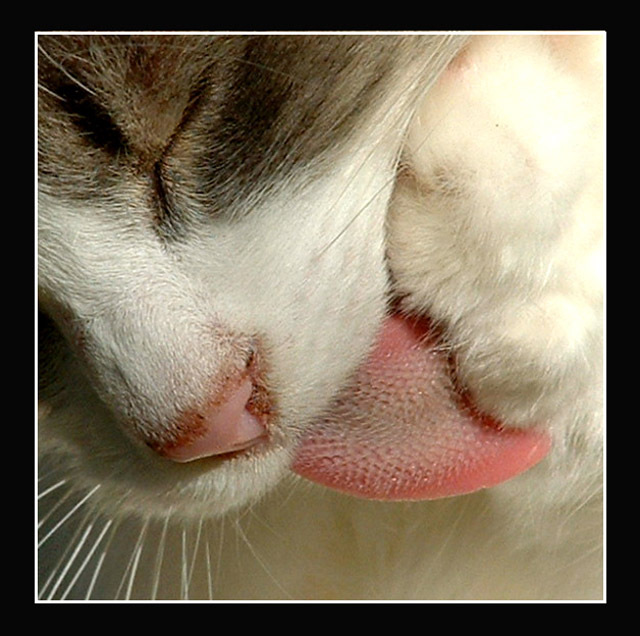 The cat's tongue...could not live without it! I am very pleased with the outcome and the positive feedback I received from this shot. Dang...I gave this a nine, I thought it was a top-shot!! Congrats on the great photo, wish it placed higher!! Great picture. Looks like a nice cat too. Though I am a major cat fan I don't always rate cat images as top but this is an exception. You got a 10 from me because of the way you cropped this and the wonderful textures of his/her tongue, paw, nose and facial fur. Fantastic cat image. Because the image is so good, this rates a 10. I wish that frame wasn't so heavy though. great detail and lovely composition, very nice. Great use of zoom and great focus. Nicely done! This is the first cat shot that I like. Proudly hosted by Sargasso Networks. Current Server Time: 04/22/2019 12:35:00 AM EDT.